The Vagabond Inn is a hotel that is worth considering if you are seeking budget-friendly accommodations in Monterey, California. As if the friendly room rates aren’t enough, guests enjoy free internet access and complimentary breakfasts. Parking is also included in the price, and you don’t have to pay extra to use the in-room phones for local calls. Value is the name of the game at the Vagabond Inn, but it isn’t the only reason to keep this place in mind when planning a Monterey visit. The Vagabond Inn enjoys a good location just two miles from the Monterey Bay Aquarium, which is found at Cannery Row. A popular place to hang out, Cannery Row also offers hotels and restaurants and was the setting for two John Steinbeck novels – Cannery Row (1945) and Sweet Thursday (1954). To further expand on its location, the Vagabond Inn is situated just a half mile from the California Coast and within walking distance of Downtown Monterey and the Monterey Conference Center. If you are a golfing enthusiast, you might be more interested in the fact that the Pebble Beach Golf Course is just four miles away. 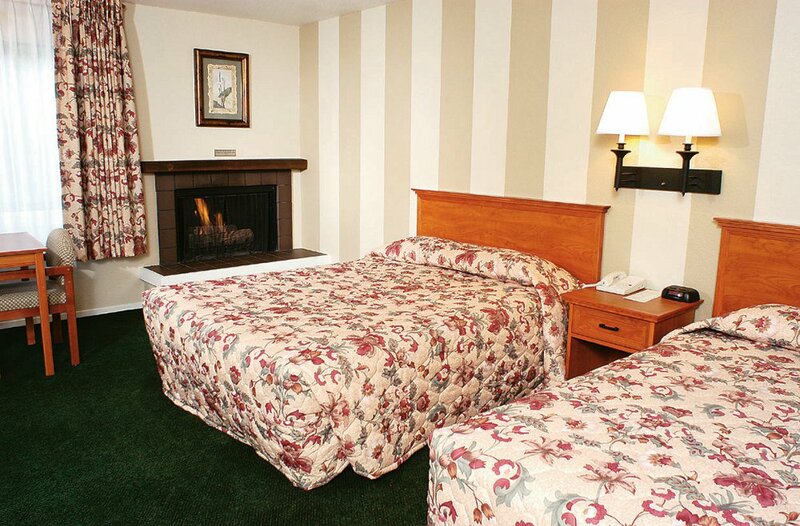 The rooms at the Vagabond Inn offer a satisfying array of amenities. These amenities include cable TV with HBO, a coffee and tea maker, a hair dryer, a microwave, a fridge, and an iron and ironing board. As noted, both internet access and local calls are included in the rates. You must be 21 years or older to rent a room at the Vagabond Inn, and anyone under the age of 18 stays free with their parents. Some of the rooms have fireplaces for those who are interested. Accessible rooms are also available.